This wood is damaged by termite infestation. 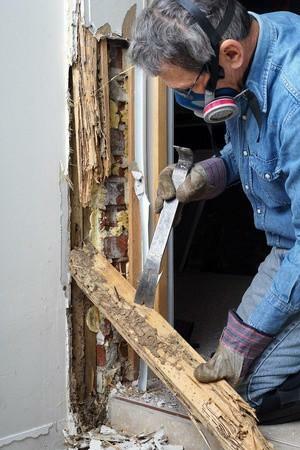 A pest inspections service in the Cleveland Ohio area primarily focuses on finding evidence of termites, also known as wood-destroying organisms (WDO). These small insects can cause massive amounts of damage to homes, resulting in costly, complicated repairs. Many people do not realize that termites may migrate inside their home. This means that a small termite infestation outside the home may move through plaster and begin to eat away at your floors and cabinetry. The best way to avoid a WDO infestation is by catching it early with a quality pest inspection service company. General Home Inspection, a Cleveland Ohio pest inspection service company, will visually inspect your exterior property as well as the entire interior of the home, including sub-spaces such as basements and crawlspaces. We will look for evidence of both current and past infestations, as well as any signs of prior treatments. Our inspection will give you the security of knowing that your home is safe and free from pesky wood-destroying insects.